Adding to the list of Scottish Water treatment facilities now powered by green energy is Carbarns Waste Water Treatment Works in Wishaw. 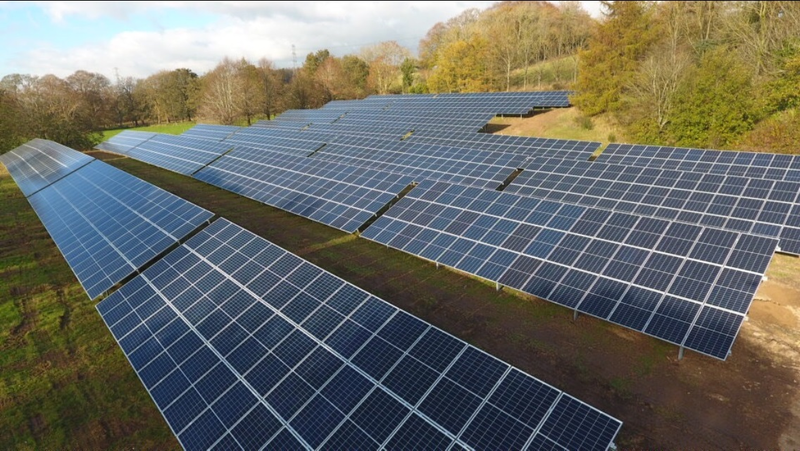 An investment of £430,000 made by the utility’s commercial subsidiary, Scottish Water Horizons, has led to a total of 1380 photovoltaic (PV) solar panels being installed on unused ground at the treatment works. It is Scottish Water’s fifth biggest PV scheme to date. The carbon reducing technology will offset 15% of the electricity required to operate the site, with the new solar PV system generating 0.27GWh of energy on an annual basis – that’s the same amount of energy needed to power 80 homes a year. This new installation at the treatment works in North Lanarkshire contributes to the Scottish Government’s targets for renewable sources to generate the equivalent of 100% of Scotland's gross annual electricity consumption by 2020. Renewable energy experts Absolute Solar and Wind Ltd delivered the project on behalf of Scottish Water Horizons.